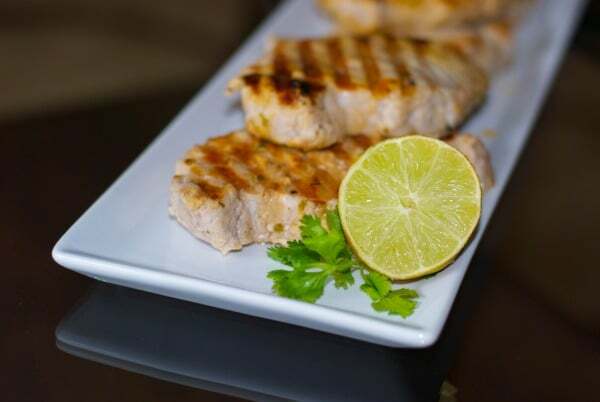 Center cut boneless pork chops marinated in a brine of Corona beer, fresh lime juice and cilantro; then grilled to perfection. 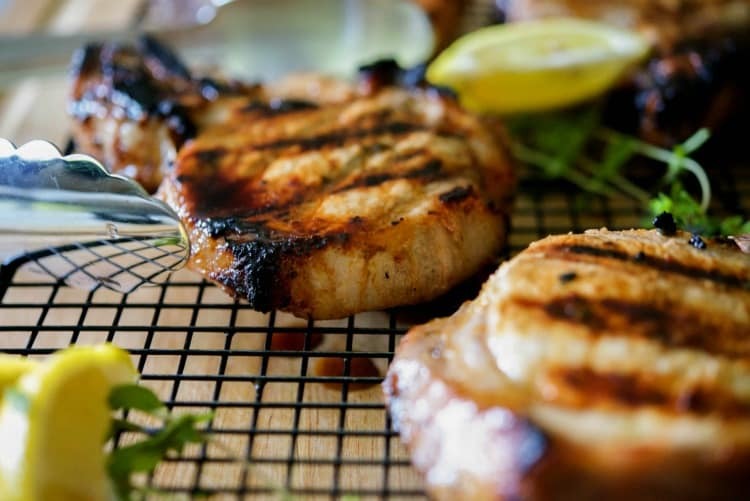 I first posted this recipe back in August 2012 and since then I’ve made these Corona Grilled Pork Chops several times; however, it wasn’t until recently that I was actually able to take a new photo as the old one didn’t do this recipe justice. See what I mean? 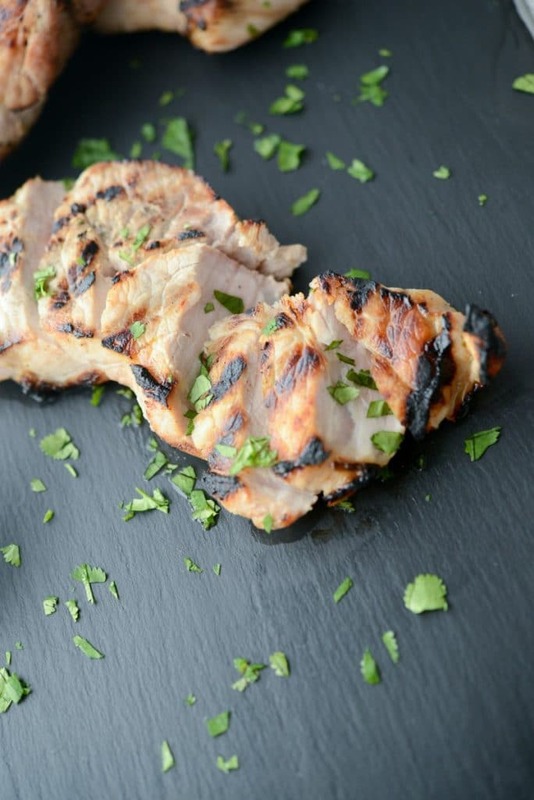 This post is also one of the most popular here at Carrie’s Experimental Kitchen because it also includes a BBQ Calculator below so you know how much food and drinks to provide when hosting a Summer gathering. 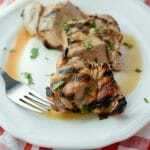 When I originally made this recipe, I had also trimmed down a full pork loin and made it into individual pork chops. I do this quite often as it’s usually more economical as roasts in general go on sale frequently. 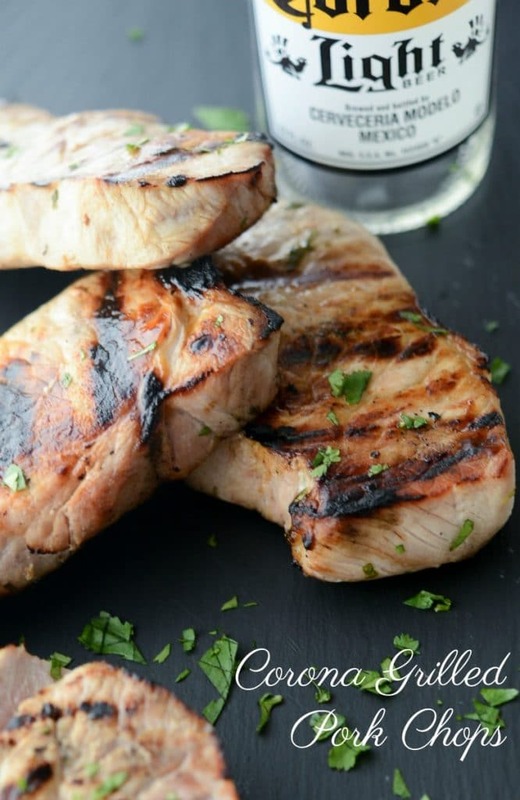 To make these Corona Grilled Pork Chops you’ll need pork chops, Corona beer, sugar, Kosher salt, a lime, fresh cilantro and honey. 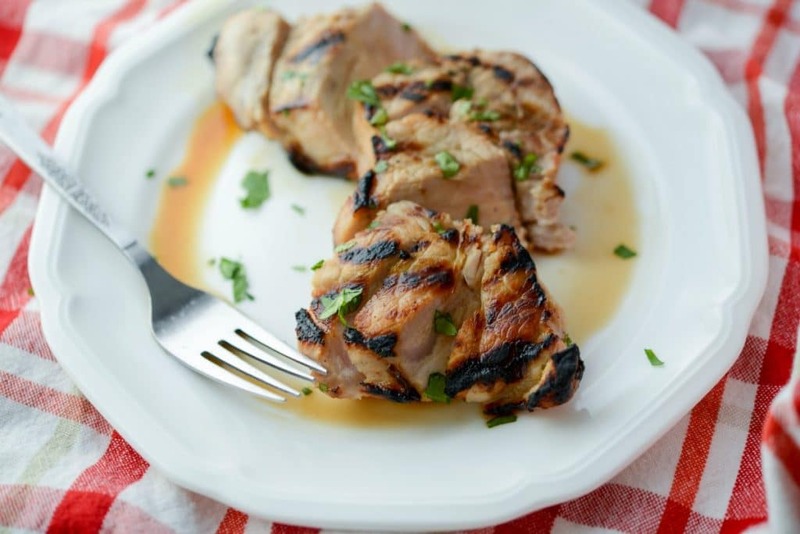 First, here is how to trim a pork loin or skip this step if you’re already using boneless pork chops. 1. Trim excess fat from the loin on all sides. 2. Next, mark the the top of the roast with a sharp knife where you will be cutting the meat through to ensure you get even cuts. I like to start in the middle using that as my guide for the halfway point; then use each half as another guide. I got 8 chops out of a 2 lb. roast. 3. Once you have your guide, cut all the way through, trimming any residual fat. Combine the beer, sugar, and salt in a bowl until it dissolves; then add lime zest and juice, cilantro and honey and whisk together until well blended. Next, add the pork chops and the marinade to a resealable plastic bag, and refrigerate for 2 to 8 hours. 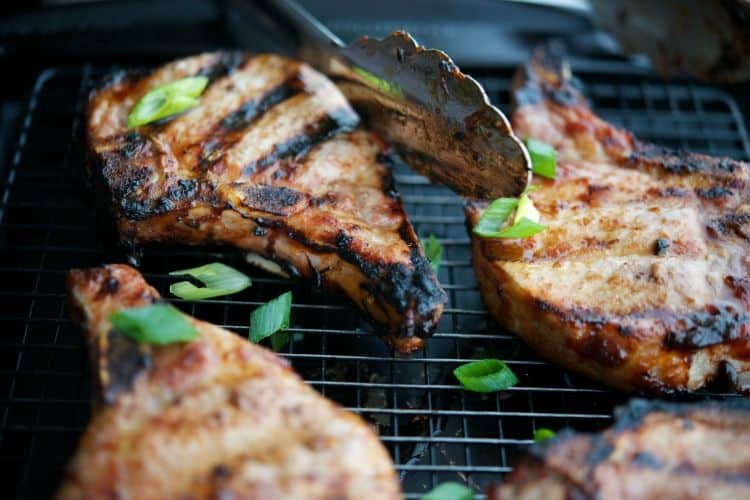 Remove the meat from the refrigerator 15 minutes prior to grilling, discard the marinade; then grill the pork chops until the proper internal temperature is reached (at least 145 degrees F, but I prefer ours at 160 degrees F). I’m not a beer drinker myself; however, this brine really adds a great flavor to the pork chops. Besides, the alcohol does burn off during the cooking process. I love using brines before grilling as it really makes the meat super moist. 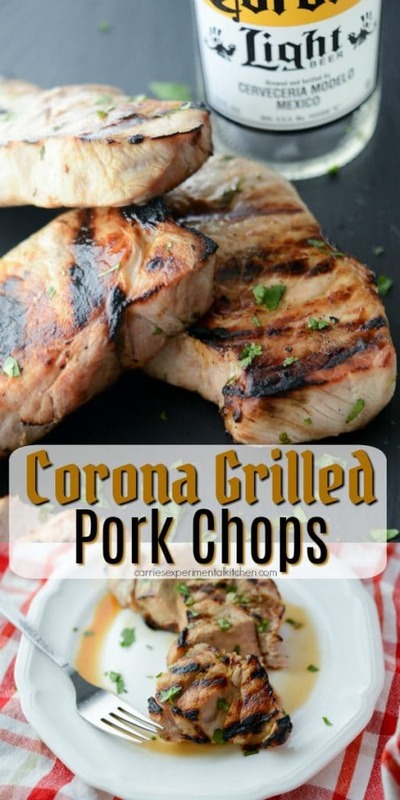 These Corona Grilled Pork Chops were so good, I hope you enjoy them too! In a small bowl, combine the beer, sugar, and salt until it dissolves. Add lime zest and juice, cilantro and honey and whisk together until well blended. 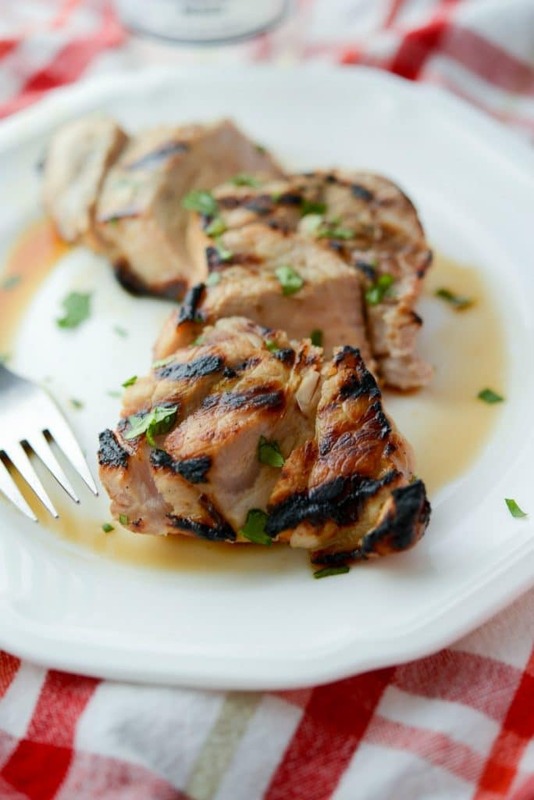 Add the pork chops and the marinade to a resealable plastic bag, and refrigerate for 2-8 hours. 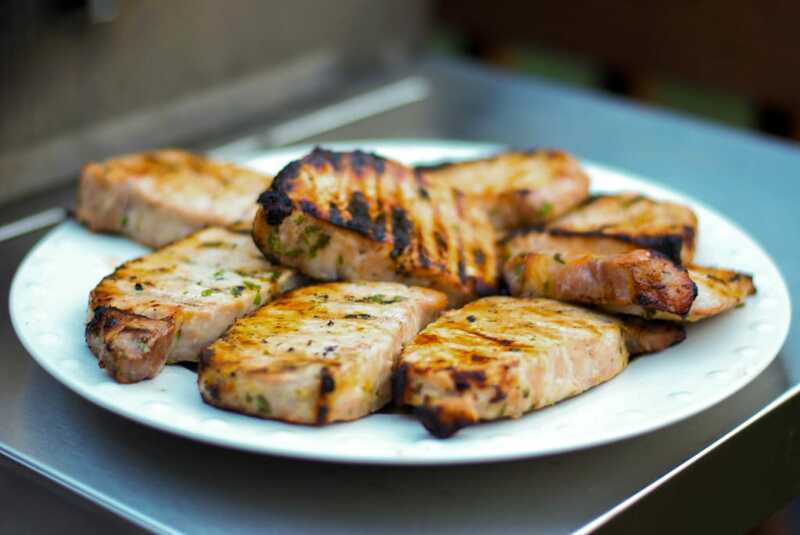 Remove the meat 15 minutes prior to grilling, discard the marinade; then grill the pork chops until the proper internal temperature is reached (minimum of 145 degrees F). Here is what you’ll need for feeding a crowd this Summer. 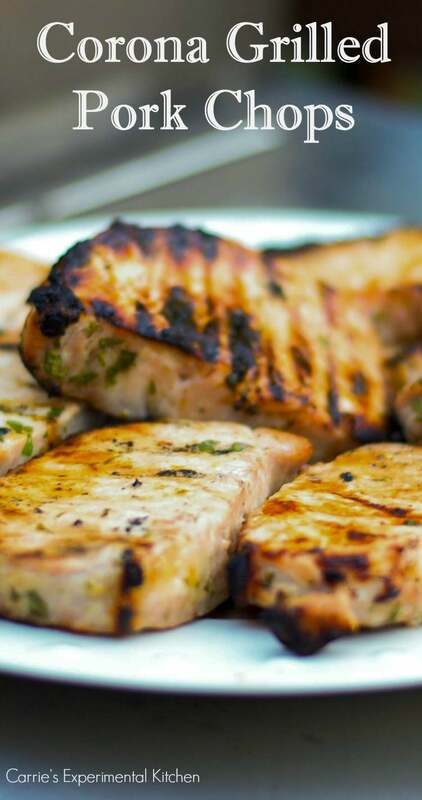 Visit the Grilling category under the Recipe Index for more ideas! They look and sound tasty! What a clever marinade, Carrie! 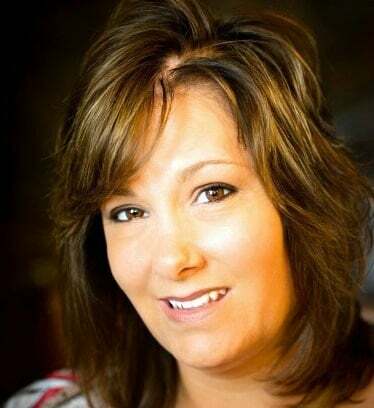 I just saw this on Thursday’s Treasures and am about to share on my Facebook page! Looks yummy! Can’t wait to get the bbq on. Carrie, these sound wonderful, hubby will love an excuse to go buy some corona! Thanks for sharing, I’m featuring this at tomorrow’s Thursday’s Treasures.